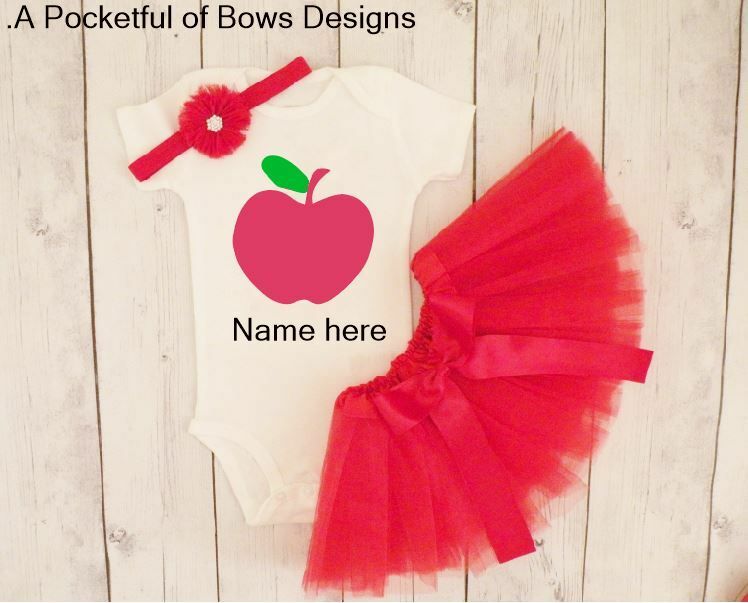 Back to school tutu outfit for toddlers and girls. The top has a fun apple with your daughters name in RED added. Available in long or short sleeves. 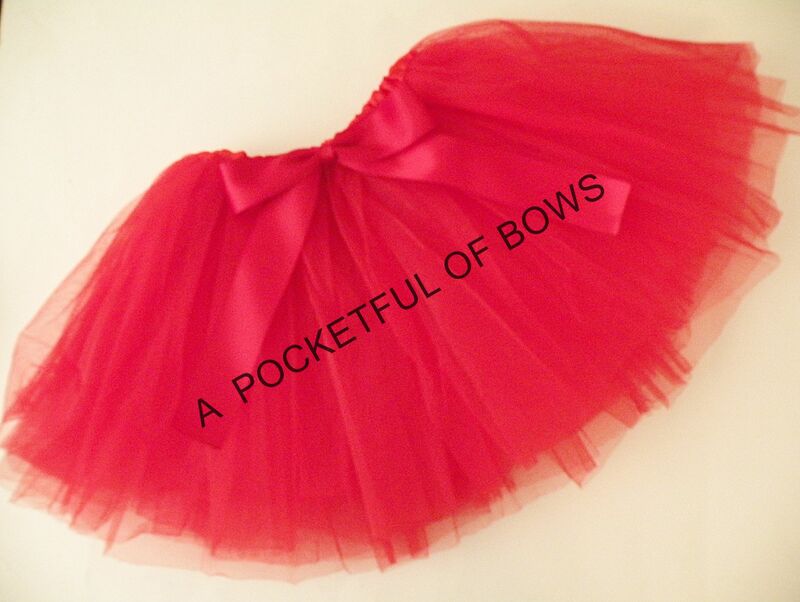 The tulle tutu skirt is all red with a match bow attached. The cute red headband has a flower with a gem center. Hair clip also available!